ADATA has launched its 2.5-inch S510 SSD in India, priced at Rs. 5,200 exclusive of taxes. It comes with a 3-year warranty. A 120GB version will also be available. Featuring the new generation SandForce SF-2200 series controller, the ADATA S510 SSD is a NAND Flash MLC unit, based on the SATA 6GB/s (formerly known as SATA III) platform. It can deliver read and write speeds of roughly 550MB/s and 510MB/s respectively, with 4K random write speeds as high as 85,000 IOPS. The ADATA S510 SSD supports the Windows TRIM command, and comes with the disk migration utility. The SSD has a MTBF rating of 1,000,000 hours, as well as a shock resistance rating of 1500G. Power consumption figures are 4.7W while active; and 0.6W while idle. 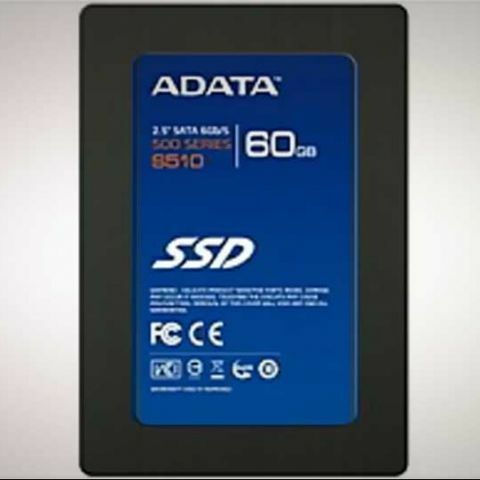 "The fast and feature rich S510 SSD from ADATA is the buzz of the season. Supporting the latest technology in the market, ADATA introduces to its partners & customers a cost effective SSD with amazing read & write speeds. Adding on to their kitty, partners are going to benefit a lot from this cost effective product"